With an increasing number of people being diagnosed with the illness, local performers once again will offer music enthusiasts some entertainment while helping raise awareness of and funding research for Alzheimer’s disease. 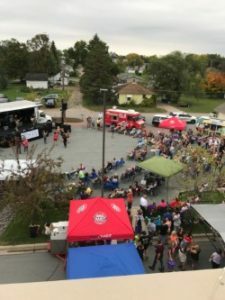 These performers will gather for the third annual “Rock 4 Alzheimer’s” event from 1-8 p.m., Saturday, Sept. 22, in the parking lot behind the Bad Habit Brewing Co. in St. Joseph. The event will immediately follow the Alzheimer’s Association/Walk to End Alzheimer’s that morning in St. Cloud. In addition to the outdoor main stage, the event will also include a youth talent stage where younger area musicians can showcase their talents. 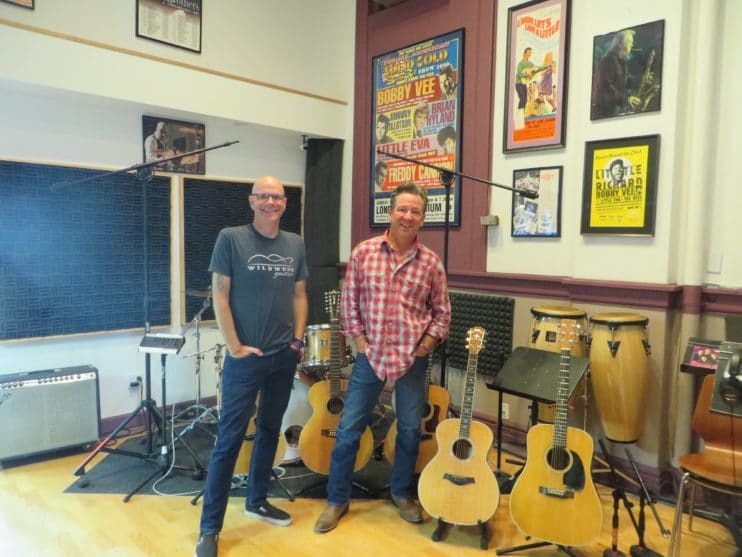 Organizers of this year’s Rock 4 Alzheimer’s event include Jeff Vee and Tommy Vee, of Rockhouse Productions, The Bad Habit Brewing Co. and The St. Cloud chapter of the Alzheimer’s Association of Minnesota and North Dakota. Local volunteers Jeny Meyer, from St. Joseph, and Mary Kelm, from Sauk Rapids, also help with the event. Meyer handles sponsorships and day-of-show coordination and Kelm coordinates the youth talent stage. Kelm joined the team with “School of Rock” coordinating experience. Tommy Vee said being able to tag team off the Alzheimer’s walk in St. Cloud is a motivating factor for them. It is important to get caregivers talking together and the Rock 4 Alzheimer’s event offers another chance to do so. The Vees come from a music background and supporting music and art in Central Minnesota, especially for young people, has been very important to their family. From the “Rock Around The Clock” Cathedral High School fundraiser for 24 years, “School of Rock” shows for 14 years to Joetown Rocks for the last 12 years, bringing the area together around a “rock and roll’ music event for a good cause has been a passion for them. The foundation, as well as the Vee family’s work with The Wirth Center for Performing Arts “School of Rock” has given many local, talented young musicians the ability to perform. Several of these talented youth will be showcased on the second stage at this year’s event. 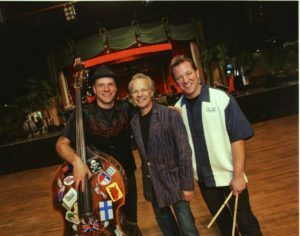 The event was originally created by Jeff and Tommy Vee, sons of music legend Bobby Vee, and the family of Irene Linn, in conjunction with the St. 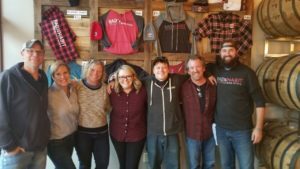 Cloud Chapter of The Alzheimer’s Association of Minnesota and North Dakota and The Bad Habit Brewing Co. Both Bobby Vee and Linn are now deceased. Organizers wanted to help raise awareness and funds for Alzheimer’s disease research and support to try to find a cure for the disease. Bobby Vee, born Robert Thomas Velline, was a famous 1960s singer and musician who was diagnosed at age 67 with Alzheimer’s disease. He retired in 2011 after his family learned of his disease. He performed at various retirement shows, including Joetown Rocks, an annual event he helped create. Bobby Vee died Oct. 24, 2016, at the age of 73. His wife Karen, died in 2015 after receiving a lung transplant several years before. Linn, of Avon, was a widowed mother of five boys, Steve, Phil, Sam, Eric and Mike. She was diagnosed at age 58 in 2009 with Alzheimer’s disease. Her sons restored a 1980 Chevrolet Scottsdale pickup their father, Ron, had purchased new before his death and Irene traveled around in, to help them deal with her disease. Linn died April 19, 2017 at the age of 65. The Rock 4 Alzheimer’s event, which was planned on short notice the first year, raised about $5,000. Last year, the event raised about $25,000 with sponsors, donations and other contributions. The Killer Vees were featured May 6, 2017, at “the Purple Gala” in Minneapolis, helping to raise more than $1 million for a cure for the disease. Alzheimer’s is one of the nation’s leading causes of death and is expected to increase as people continue to age. According to the alz.org website, Alzheimer’s is a type of dementia that causes problems with memory, thinking and behavior. Symptoms usually develop slowly and get worse over time, becoming severe enough to interfere with daily tasks. The majority of people with Alzheimer’s are 65 and older, but it can occur in earlier years. One in three seniors dies with Alzheimer’s or other dementias and 16.1 million Americans provide unpaid care for people with these illnesses. The Walk to End Alzheimer’s will begin at 10 a.m. at the Lake George Municipal Complex. Check-in begins at 9 a.m. For additional information visit the stcloudwalk@alz.org website. A crowd begins to gather at the beginning of last year’s Rock 4 Alzheimer’s event. This year’s event will take place 1-8 p.m. Saturday, Sept. 22, in the parking lot behind the Bad Habit Brewing Co. in St. Joseph. The local Rock 4 Alzheimer’s team includes (left to right) Tommy Vee, Mary Kelm, Jeny Meyer, Katrice Sisson, Eric Geier, Jeff Vee and Aaron Rieland. The Vees are organizers and performers, Kelm and Meyer are volunteers, Sisson is the Community Engagement Manager at the Alzheimer’s Association and Geier and Rieland are owners of the Bad Habit Brewing Co.
Pictured Feb. 2, 2009, at The Surf Ballroom in Clear Lake, Iowa, are (left to right) Tommy Vee, Bobby Vee and Jeff Vee. Tommy Vee and Jeff Vee, sons of singer/musician Bobby Vee, help organize the Rock 4 Alzheimer’s event to raise awareness and funds for Alzheimer’s disease research and support to try to find a cure for the disease. Tommy Vee and Jeff Vee discuss the upcoming Sept. 22 Rock 4 Alzheimer’s event from Rockhouse Productions in St. Joseph. 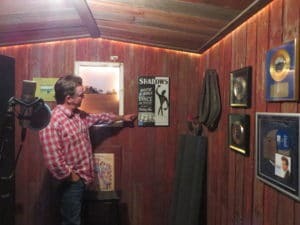 Jeff Vee shows the first musical poster his father, Bobby Vee, was featured on. The poster now hangs in the Rockhouse Productions studio. Bobby Vee began performing at the age of 15 and became a famous singer and musician.